Grasslands comprise of large areas of prairie or rolling grassy knolls. 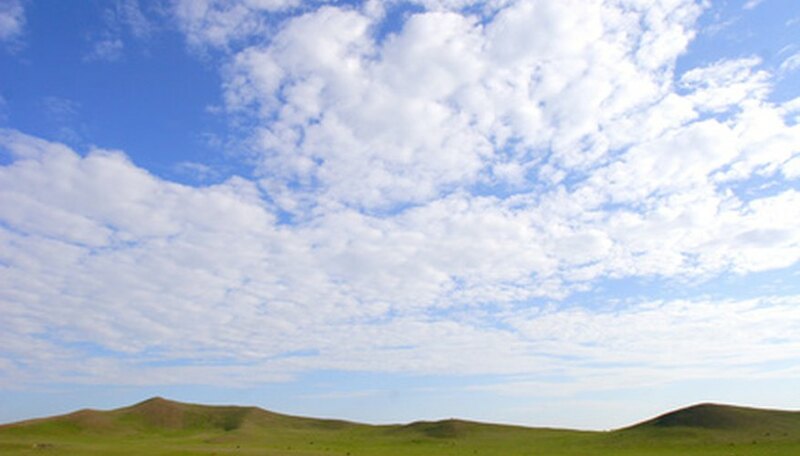 Either wetland or dry, the grassland biomes span throughout the entire world. The plant life thriving in grassland regions is diverse and plentiful from assorted weeds and grasses to herbs and flowers. Knowing the names of these grassland plants and their identifying features allows you to experiment with growing them in your own garden, or to simply educate yourself on the biomes of the world. An invasive grassland plant, common teasel thrives throughout prairie areas in the Midwest U.S. It begins as a single or double spike like shoot that emerges from the low-lying foliage of the plant's base. After a year, it forms a large spiky head that blossoms with colorful hues of pink, white and lavender. 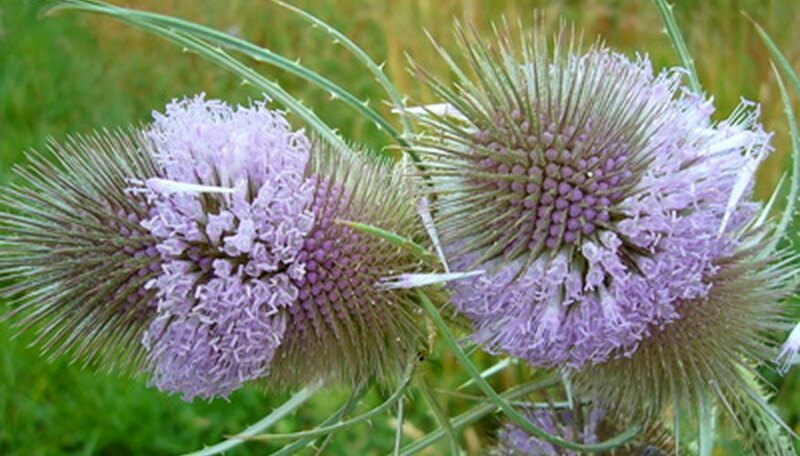 Ordinarily used in floral arrangements and other crafts, common teasel overgrows the grasslands it inhabits making it an easy-to-harvest plant. Growing it in your garden isn't a good idea as the plant has a tendency to overpopulate areas in which it grows, strangling the roots of nearby plants. A ditch-growing perennial, dogbane, like the name denotes, is toxic to dogs and other mammals when consumed. It grows throughout moist, low lying parts of grasslands throughout the Southern United States and other temperate to subtropical grasslands. It produces tall thin stems which fork and branch into different stems. The blossoms of the dogbane plant are trumpet-like, small and vary in color from white to yellow. It isn't generally recommended to grow dogbane in your home garden if you have small children or pets. Resembling baby's breath, Queen Anne's Lace presents itself as a frilly and delicate grassland flower. 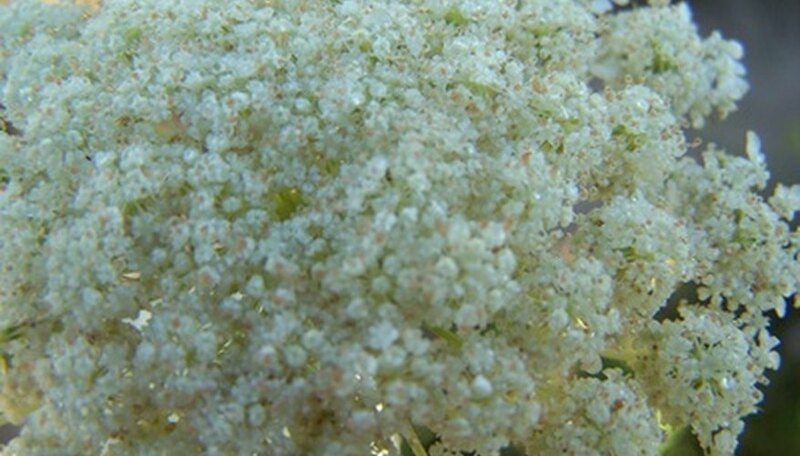 With alternative names like bird's nest and wild carrot, Queen Anne's Lace closely resembles the fatally toxic water hemlock plant with its small white flowers and carrot-like aroma. It thrives throughout grasslands in Europe, Asia and parts of the United States. Queen Anne's Lace is often seen as tumbleweed in dry desert climates as the blossoming heads of the plant tend to dry and break off.